These days I'm not as impressed with many of the cinematic releases and don’t go to the cinema anywhere near as much as I used too so it's really nice to find a movie that's as highly commendable as Lady Macbeth (2016). Firstly let me say that it's not based on the Shakespearean play only inspired by it. This latest interpretation of a novel by the Russian novelist and short story writer Nikolai Leskov who wrote his novel Lady Macbeth of the Mitsensk in 1864, the story that was rightly said to be a 'picture of the most unrelieved wickedness and passion' which in turn went on to inspire an opera of the same name. 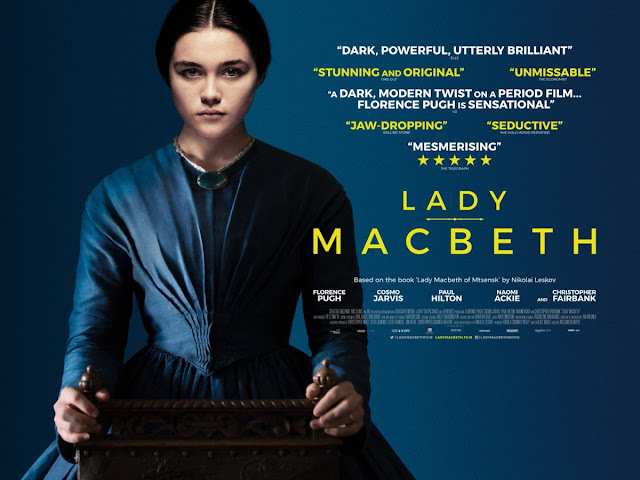 Directed by theatre director William Oldroyd with a brilliant screenplay by Alice Birch this drama is set in North East England in 1865 and filmed in the Northumberland National Park close to a beautiful area of Northumberland where I was fortunate to stay earlier this year. Katherine is stifled by her loveless and unhappy marriage to Alexander a man twice her age. When both Alexander and his brutal father Boris leave the family house on separate business Katherine is left with only an assortment of servants and estate workers. When her sexual frustrations get the better of her she embarks on a passionate affair with Sebastian a young stable hand which leads her to unleash a force that will drive her on a pathway of evil with a determination to make sure that she gets her own way in affairs of heart. Katherine and the love of her life. You can probably tell that I was very impressed with this great British movie and certainly with the calibre of the acting involved. 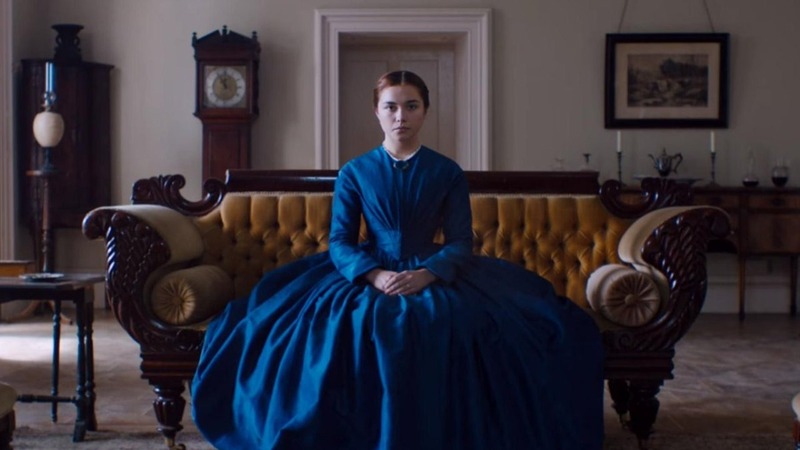 None more so than with the 21 year old Oxford born actress Florence Pugh as the strong minded Katherine. This is her first lead role but you may have seen her in her debut feature film performance in the mystery drama directed by Carol Morley The Falling released in 2014. It may be a clique but her role in this latest release can truly be described as an award winning performance. It’s strange but it is the strength of Pugh’s performance that gives you a sneaking admiration for the character even though you know that you should really dislike her. Also cast in this wonderful period drama are the American actor Cosmo Jarvis as Sebastian, Christopher Fairbanks, still probably best known as the plasterer Moxey in Aug Wiedersehen Pet which he appeared in between 1983 and 2004, as Boris and Paul Hilton as Katherine's husband Alexander.